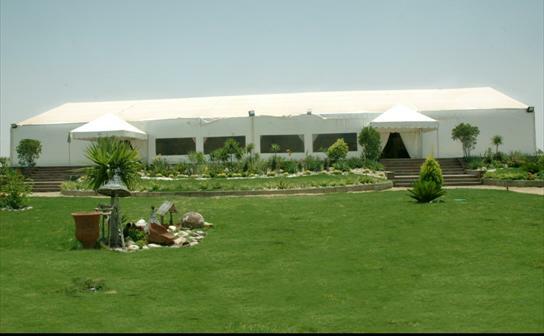 A big golf Paradise tent was made to include 400 person and it and it was also designed and furnished to hold parties, Conferences and festivals. 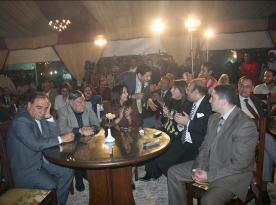 It is the only tent in Luxor which is untraditionally touristic place opened all day long every day in summer and winter. There are meds areas inside and outside the tent where individuals or groups having lunch and dinner untraditionally. 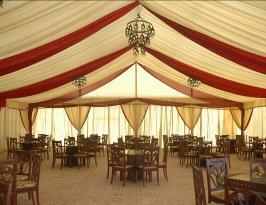 The tent guests can prepare their meals by them selves in Luxor atmosphere. It overlooks the golf course which by the wide spread green lands, the blue water of it's lakes and the surrounding landscapes areas.